The Metabond treatments contain an agent that enters into chemical reaction with the metal under the efect of pressure and temperature only in the contact zone: the asperities of the roughness are stretched through a “plastic deformation” without breakage or loss of material and at the same time they become very hard. It is not an additive for lubrificants, does not change the parameters and does not interact with them. It is a “noble of metal“: it rectify and harden the metal surfaces in the contact areas. In this way we obtain the ideal conditions for a perfect lubrication: metal surfaces in the contact area perfectly smooth and hard. Was designed in laboratories NATO and used at NASA. In 1991 was taken by the company Metabond Molekular Technik in Langen, Germany. Immediately after its release in 1991 won the Grand Prize at the Frankfurt Auto Exhibition. A Ferrari car treated with Metabond has reached the record speed of 351 km/halthough the initial maximum design speed was 291 km/h. 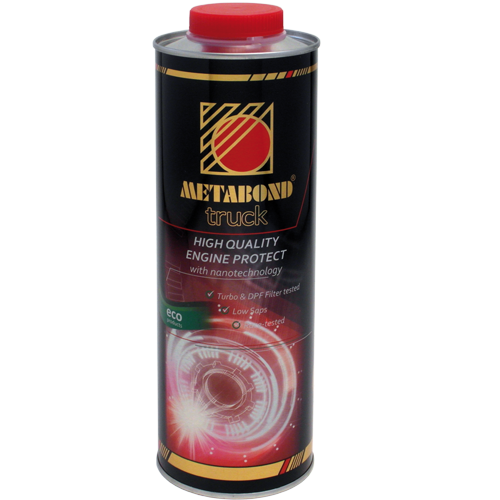 Metabond is latest generation antifriction agent. Through a process of thermo-chemical-mechanical, Metabond creates metal surfaces in relative motion, a monomolecularlayer of extremely hard and smooth that promotes the sliding, without changing the shares. During stress, the roughness peaks in areas of friction are deformed plastically, almostno material loss. 25% of world energy is lost directly through friction and indirectly through wear! 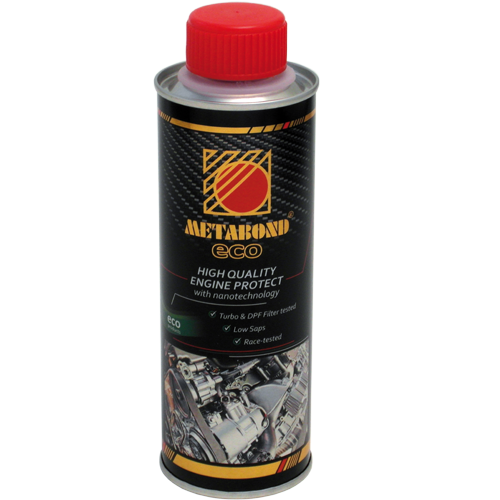 Metabond reduces internal friction, increase power, efficiency and lifetime of components. I wanna ask something, What you recommend for a used engine, Toyota, over 135.000 miles? What year is it? is there any oil consumption?